Product Description: CC Products Maitre D 48-Inch Square Propane Gas Fire Table - Copper Finish - C1035. 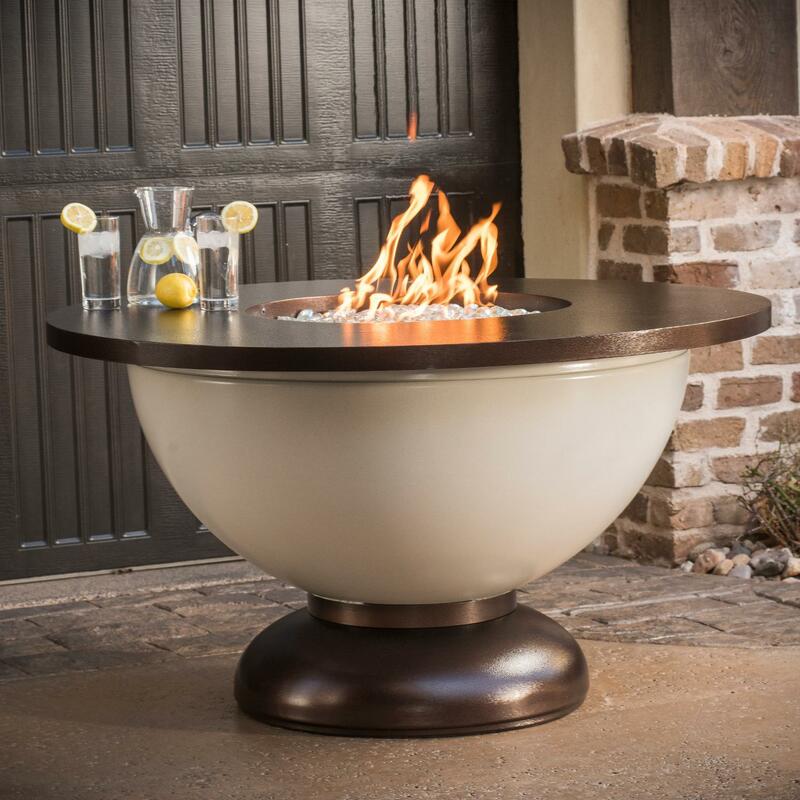 The simple pattern and earth-tones of the Maitre D Fire Table are sure to bring warm, inviting ambiance to your outdoor space. 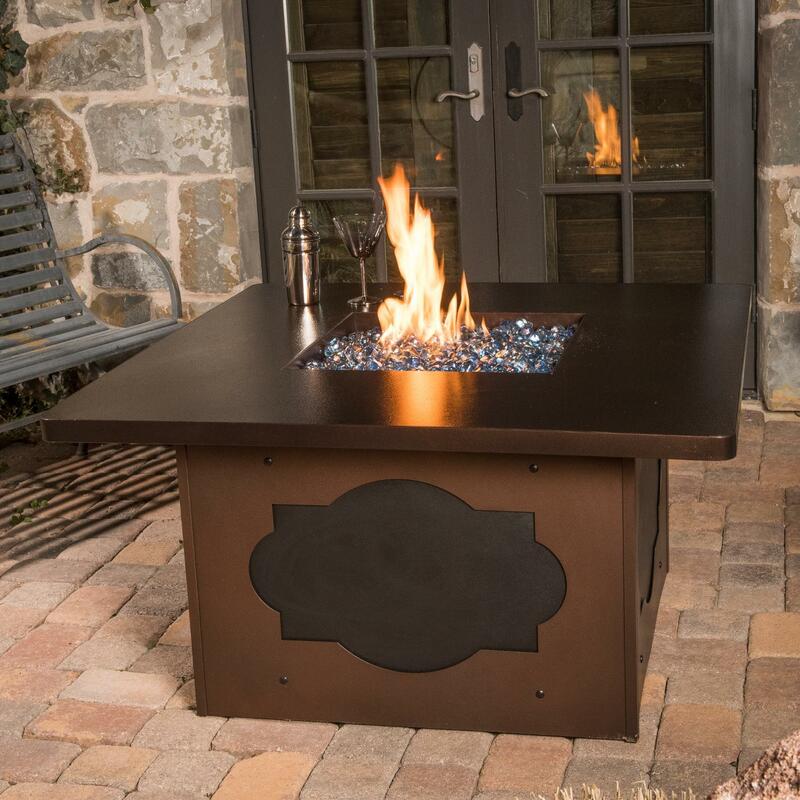 To ensure unobstructed beauty on all sides, the fire table is designed with a lifting table top instead of an unsightly side door for accessing your propane tank storage. The 12-inch burner ring produces up to 90,000 BTUs, ensuring plenty of warmth and eye-catching flames. 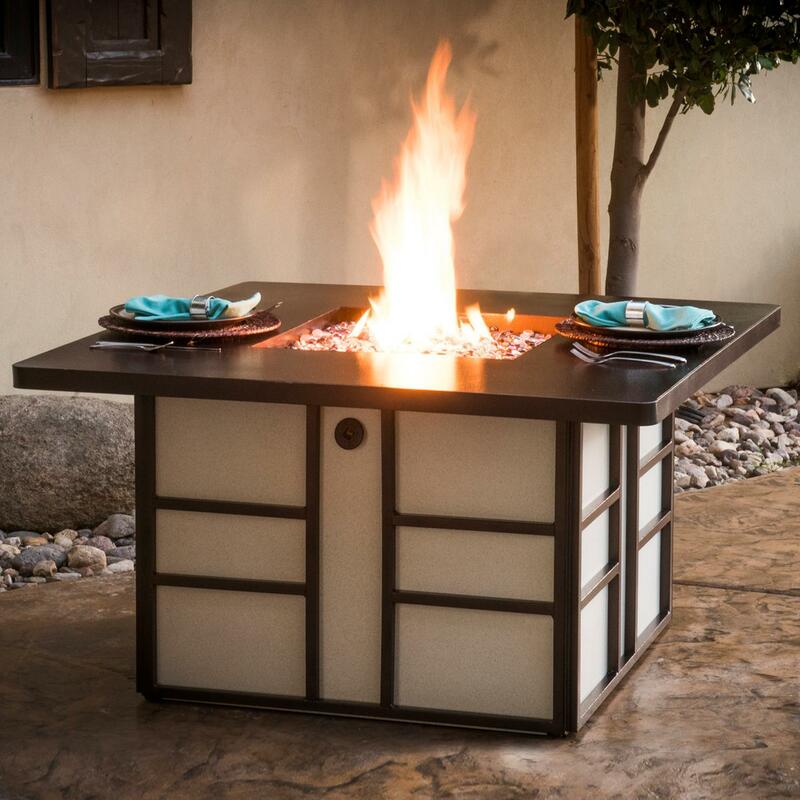 For protecting the burner and included lava rock, the fire table included a locking media lid. The lid also expands the usable table space when the burner is not in use. Leveling feet are included to allow the fire table to stand on nearly any kind of patio surface. The fire table comes with 40 pounds of lava rock. The fire glass shown is not included.